I have been subscribing to motocross action for many, many years and am a big fan of the magazine and the bikes they post. What I am NOT a fan of is them taking my photos and cutting off the watermarks and posting some BS about them being spy photos. I dont post spy photos. If I did I would post the 2016 bikes I have just designed the CTG for and have open on my 2nd computer screen next to this window. But I wont. Obviously. I dont do leaks as I value my day job! 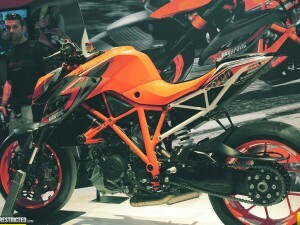 The 2015 SXF is out in the open at my local KTM dealership as it is at many others which is why I took some photos of it. Due to different regional delivery times and other factors the official launch however is not until sometime next month. 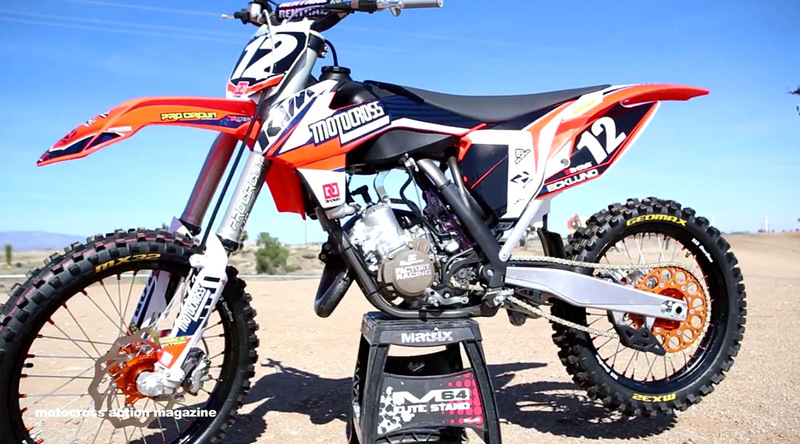 Anyway, here is another sick bike from MXA. 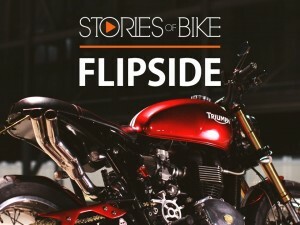 “For this project we took a KTM 125 and put it through its paces. We clipped on some bolt on parts and made this 125 race ready. 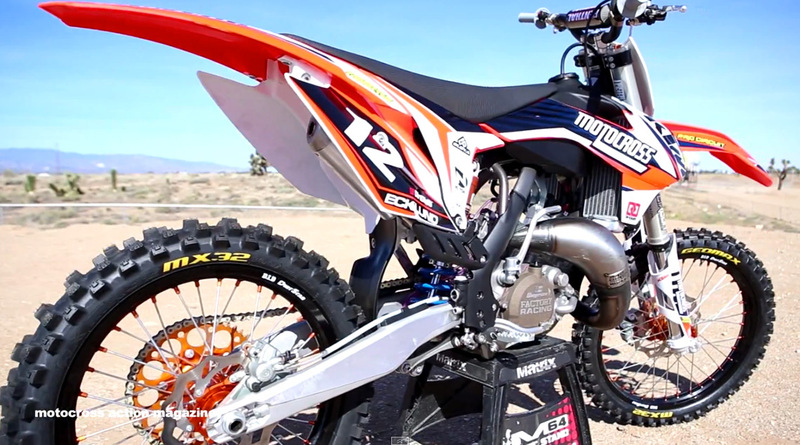 Check out our tester Tye Hames put it through the ringer at Comp Edge MX in Southern Califonria and make sure you crank up the volume to hear the sweet bliss of a 2 stroke”.